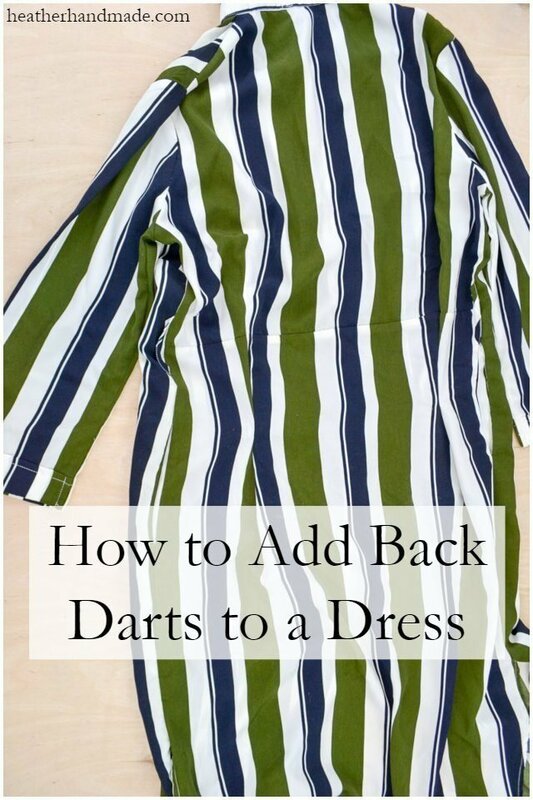 Learn how to add back darts to dress for a better fit! This alteration is great to make your dresses fit better and add shaping in the back. Ready-to-wear clothing is made to fit an average woman that doesn’t really exist. Sometimes you need to make simple alterations to your clothing to make them look like they were made for you. 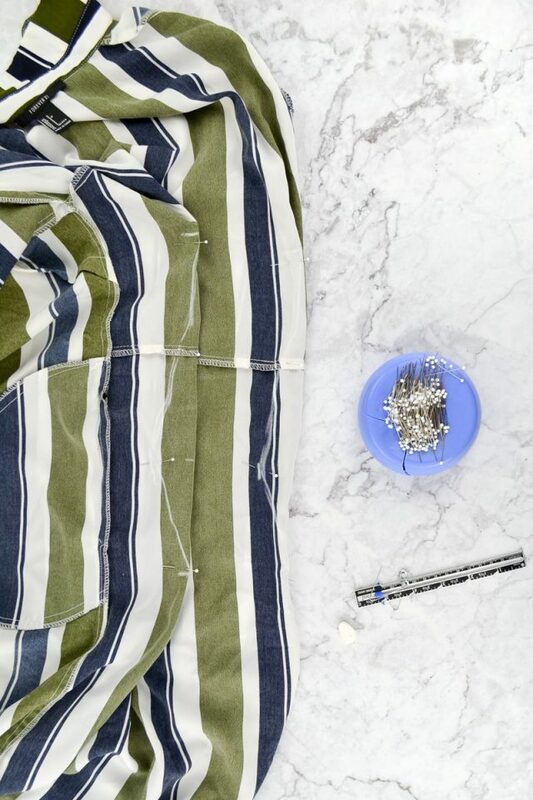 This simple sewing tutorial teaches how to add back darts to a dress. 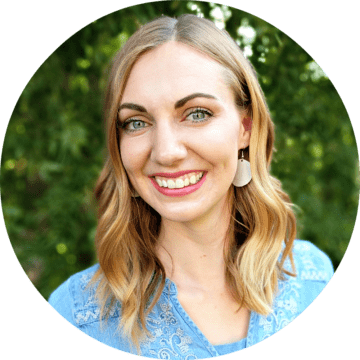 Altering clothing to fit your body is a satisfying sewing project and it’s not very time consuming. 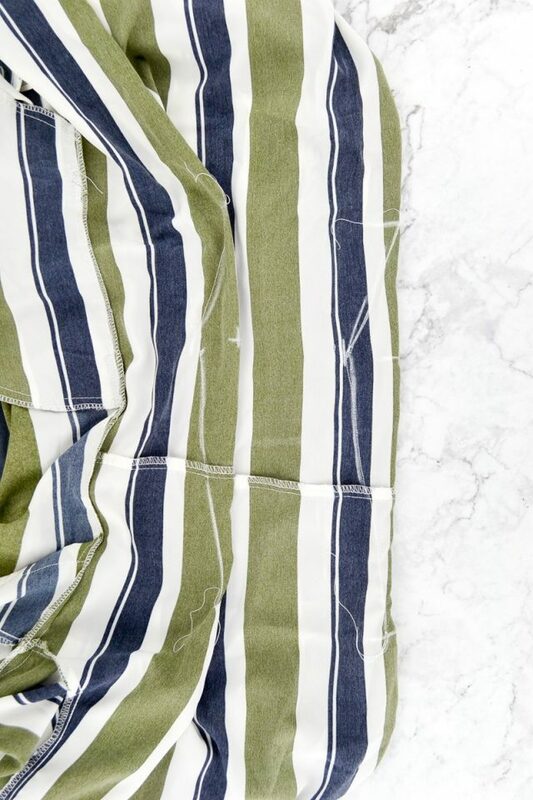 You can add back darts to any item of clothing and hem jeans and keep the original hem. 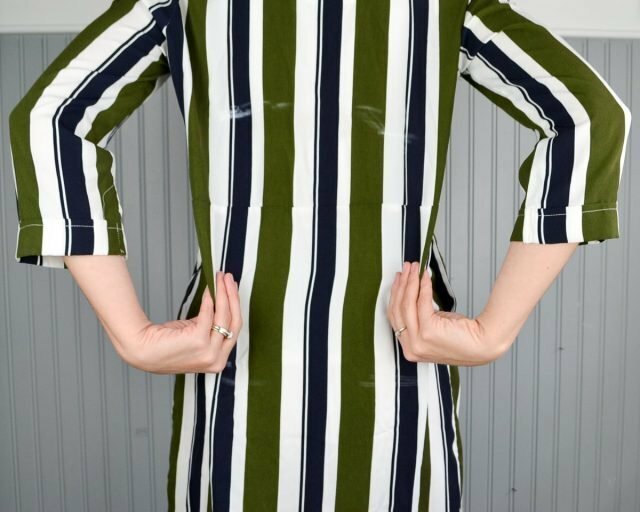 When working with dresses you can add length to a dress, add sleeves to a dress, and how to shorten a sweater. Put the dress on. Find the smallest part of your middle. This may or may not be your waist. Safety pin out two equal sections on the back of each dress. 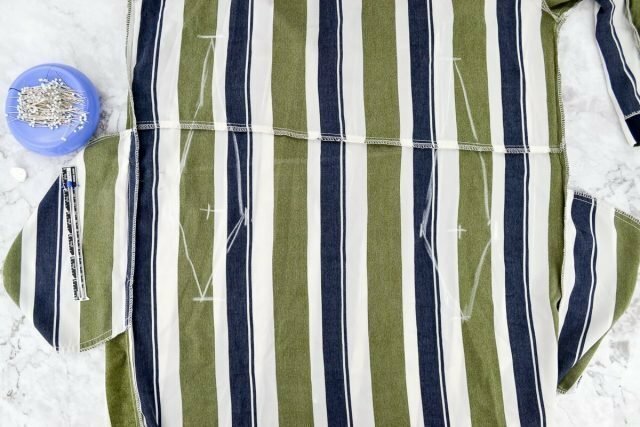 Mark the top and bottom of the dress with a marking tool. Mark where the dart gets kind of smoothed out. 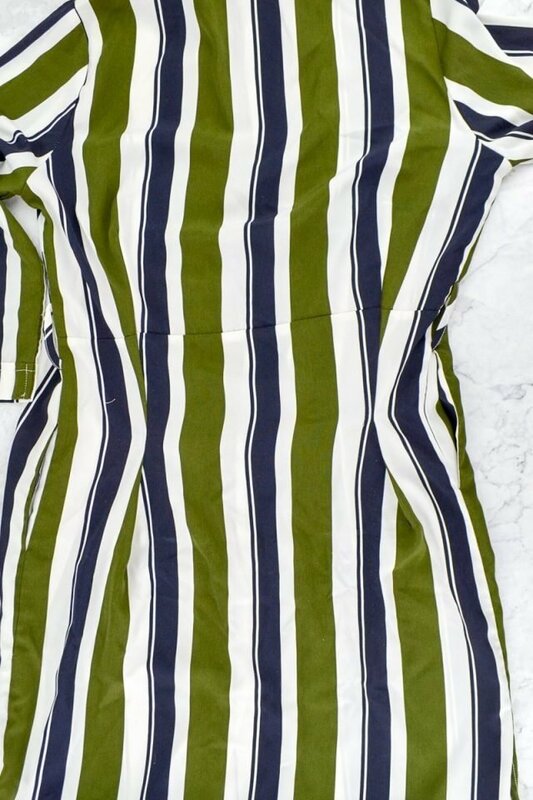 Transfer the markings to the inside of the dress. The amount of the two darts might be slightly different so choose an amount that’s average of the two. You will be creating two diamond shaped darts with a center line. 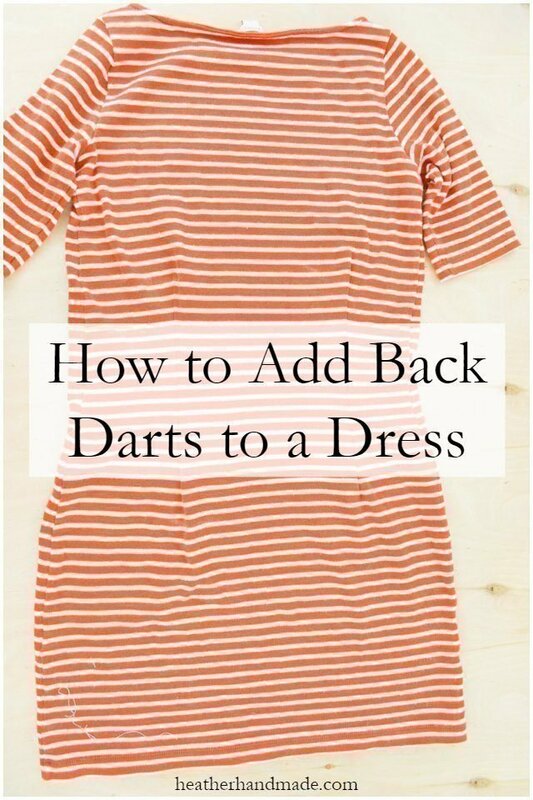 Your dart might be uneven depending on the dress and your shape. Fold the dart at the center matching up the outside points of the diamond. Pin the fold in place. Sew the darts. Start by sewing from the center point of the dart and out towards the bottom point. DO NOT backstitch but leave a long thread tail. Flip the dart over, start sewing from the center point out towards the top point. DO NOT backstitch but leave a long thread tail. Do the same to the other dart. Tie the thread tails into square knots. 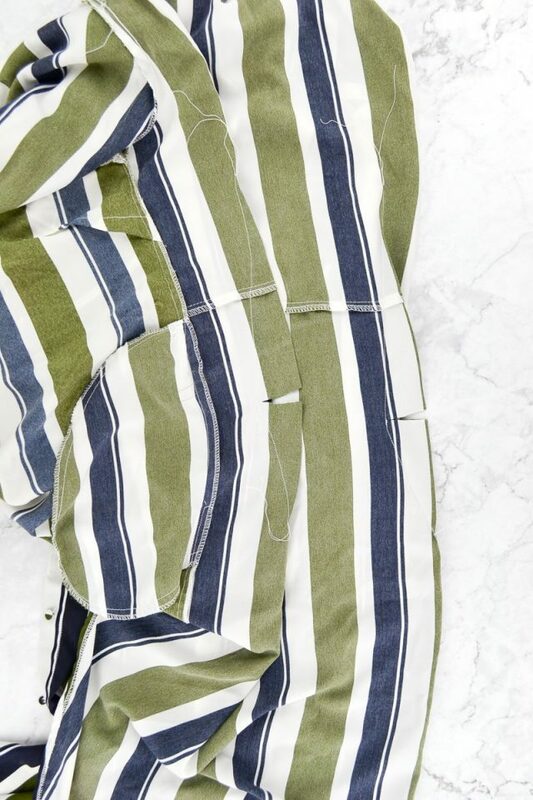 This is how to finish the thread without backstitching. If your darts are really deep you might need to clip the center part of the dart. This is expecially true for woven fabric. Press the darts towards the center of the dress.